An Abstract Painter, Nationally Recognized Art Educator, Juror and Author dedicated to helping YOU become a better painter, period. Through live workshop events, books, videos and online training courses I help painters, both amateur and professional alike, to loosen up their painting style, understand art design fundamentals and discover the joy and freedom of abstract painting. Painting that comes from the heart, not the head. I am ready to Instruct, Inspire and Motivate YOU to become the painter YOU have always wanted to be. Are you ready to move beyond copying photos to paint from your heart in a loose, fresh, colorful manner? Are you ready to take the next step in your painting journey - a step you have always wanted to take? You Can Do This! You Know You Are Ready! David's Signature Course. Career-changing training by one of America's foremost abstract painting instructors. Abstract Painting Academy is a new online workshop experience specifically designed to teach you how to loosen up your tight painting style, paint fresh, beautiful, colorful paintings using lost of juicy, luscious color, and be the painter you have always wanted to be in less time than you thought imaginable. $100 Off for a limited time! What every artist needs to know to build a solid foundation for their art making. The best artist's know, and can implement, design fundamentals in their work. David has developed Design Fundamentals for the Artist because at his workshops students constantly comment that nobody has ever taught them design. This course focuses on five major design fundamentals: Shape, Value, Color, Edges and Center of Interest. $50 Off for a limited time! 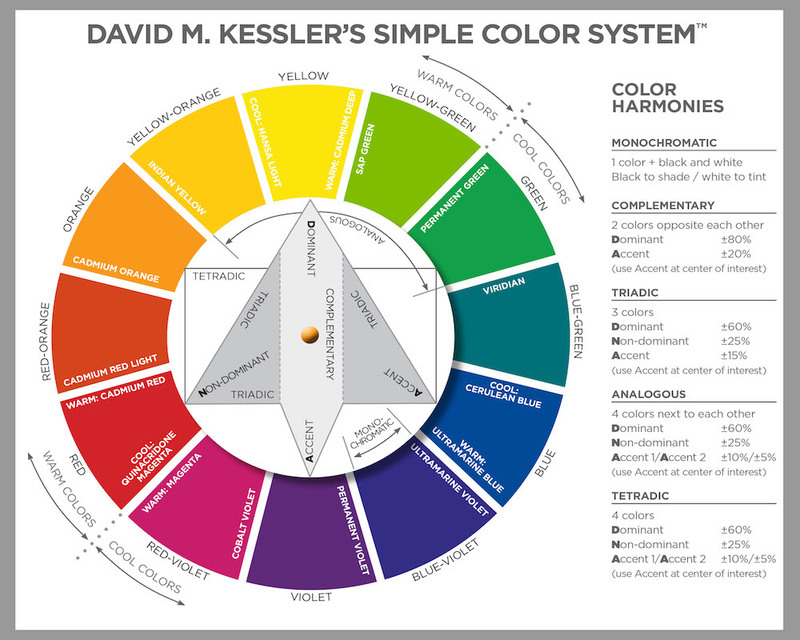 David's "Simple Color System" Color Wheel will help you eliminate muddy colors in your paintings and at the same time help you create beautiful color harmonies that hum. Great practical advice, tools, tips, inspiration and motivation to make you the painter you have always wanted to be. Instructional book, full color, 124 pages, soft cover. This is a must have for every artist's library. This EBook gives you a quick, easy method to develop abstract compositions with items you already have in your studio. This EBook is FREE! Click the orange button below to download it. Includes the same 20 Loosen Up Secrets David uses in his studio everyday. This EBook gives you the 20 strategies you need to implement to paint in a loose, free style. This EBook is FREE! Click the orange button below to download it. 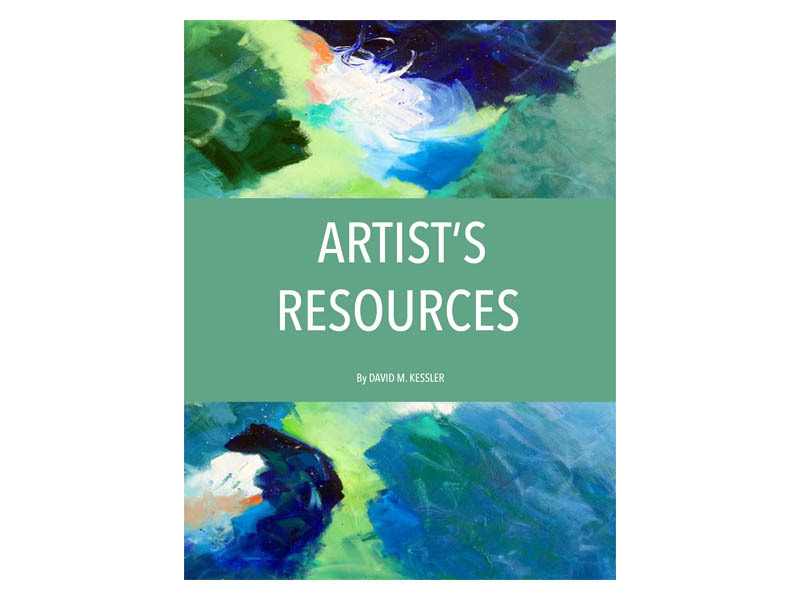 Artist’s Resource Ebook - NEW! 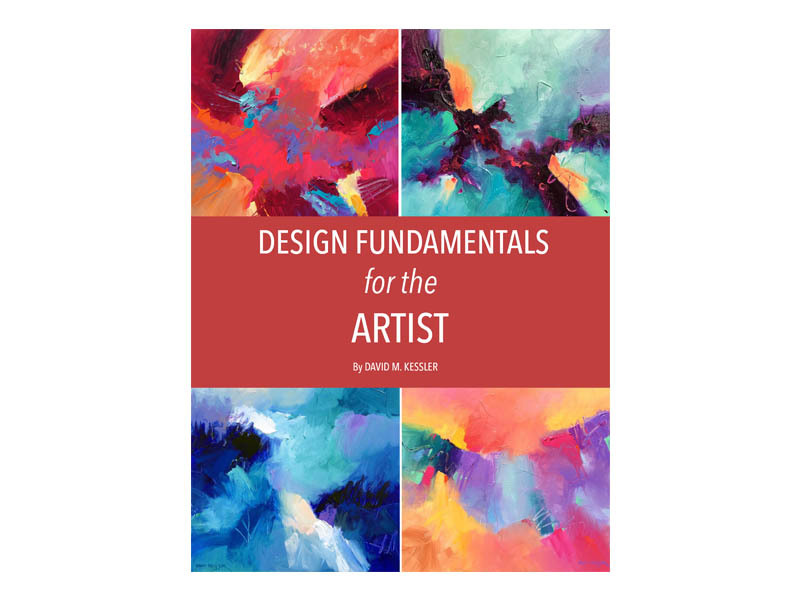 In this great ebook you’ll find: Artist’s material resource list, thoughts on abstract painting and loosening up your painting style, a list of artists, books and other experts that will help move your art making and/or art business forward, and much more! This ebook includes information that can make your art better than it has ever been! Transform your paintings with full understanding of Shape, Value, Color, Edges and Center of Interest. These great tees let the world know you’re an artist. Check out these great artist t-shirt designs. There are multiple graphics, slogans and shirt styles to match your mood.